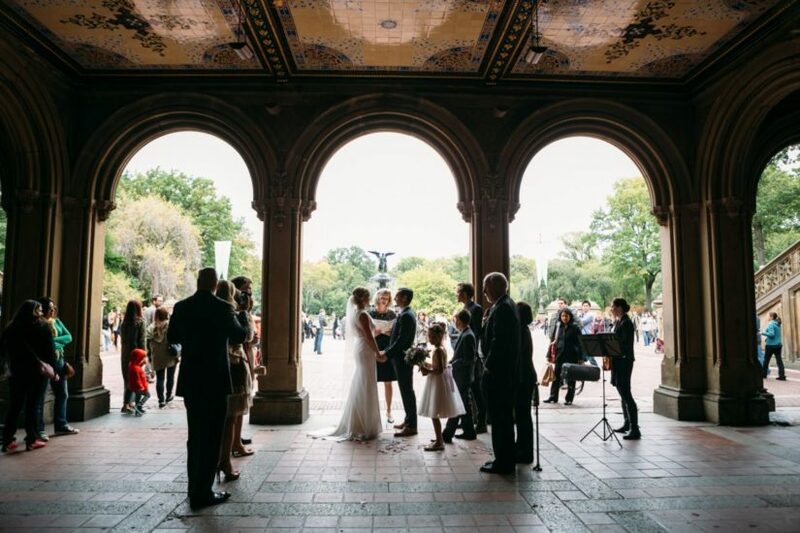 About: Featured in countless films, Bethesda Fountain Terrace is one of the most popular locations for a Central Park wedding. 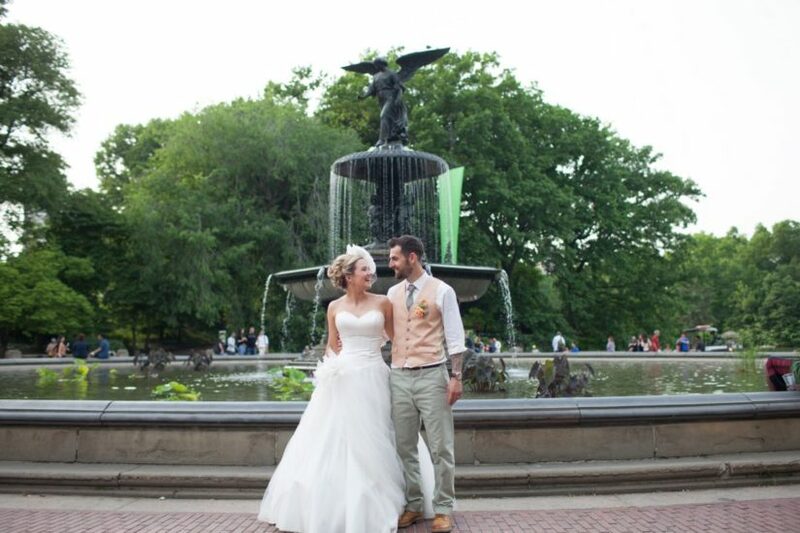 Since the fountain is centrally located in the park, it’s within walking distance of tons of great photo opportunities such as Cherry Hill and Bow Bridge. 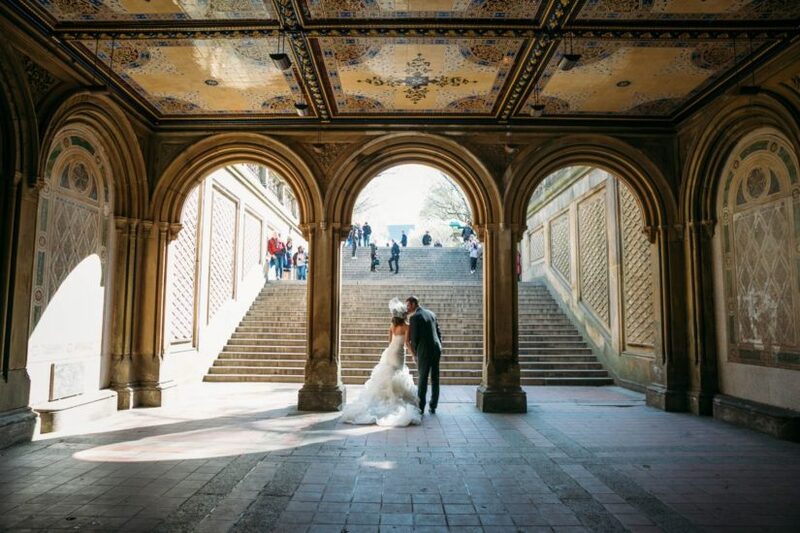 Hold your ceremony by the fountain or under the shelter of the Lower Passage with its beautiful mosaic tiled ceiling above. Please note that due to weekend crowds, we no longer offer wedding ceremonies here on Saturdays or Sundays. The area will still be available for portrait sessions before or after your ceremony. 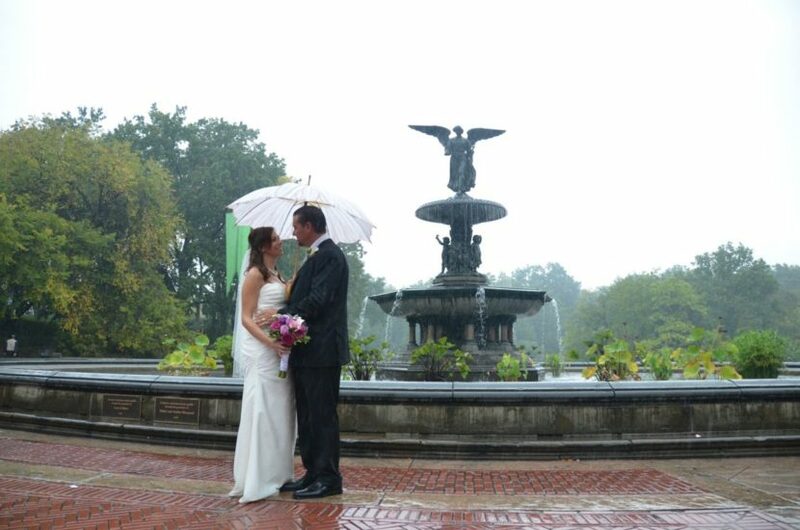 Click here to view Bethesda Fountain real wedding photos.